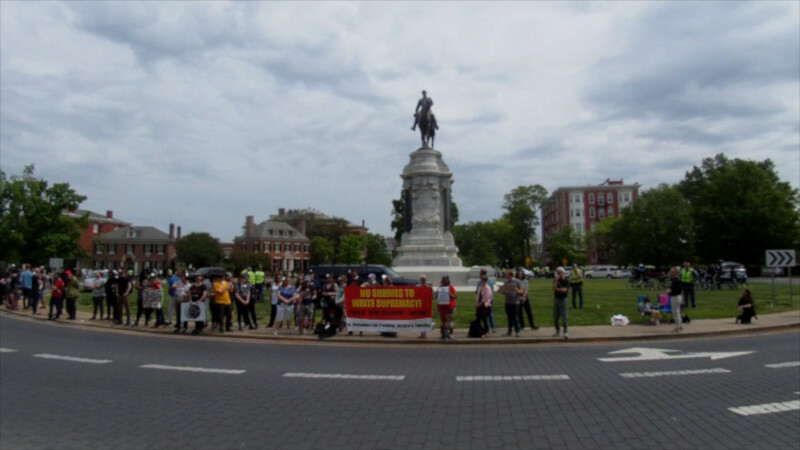 On the 5th of May, 12 members of the "DIxie Defenders" and "Confederate States of America II" showed up in front of the Robert E Lee monument in Richmond, VA. They mostly hid behind police even though three of them carried military style AR-15 rifles. Opposing them were between 50 and 100 people in three clusters of counterprotesters. The "Proud Boys" and "alt-Knights" were both no-shows. They had stated they planned to appear, raising fears of right-wing initiated violence. 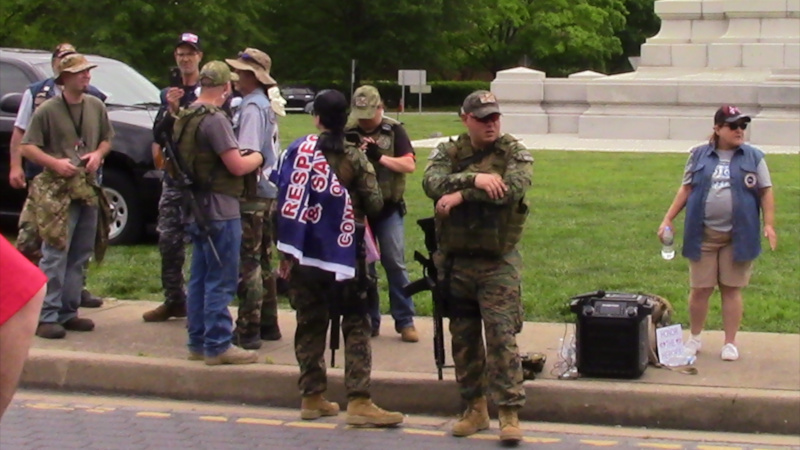 With armed right-wingers also on the scene that had the potential for a major mess. Apparently, when the hard fash heard "Antifa will be there," they forfeited, choosing not to show up at all. 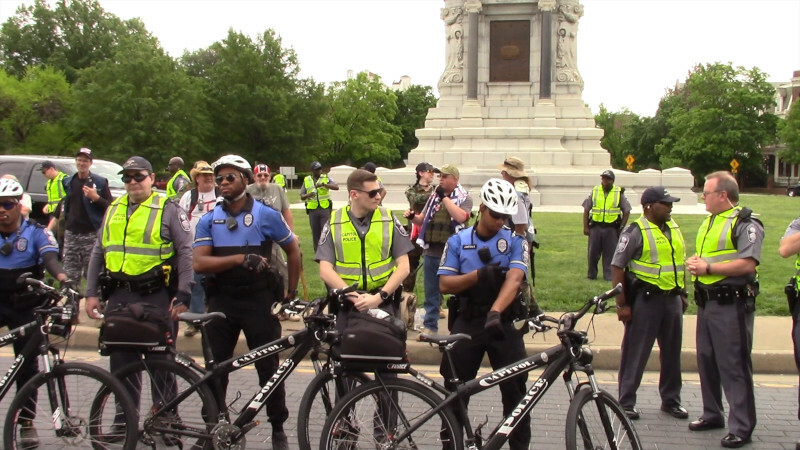 While it was the fascists who were carrying rifles, and even more violent fascists had been expected to show up, police faced outward to protect the armed neo-Confederates from the public. They had the confidence to turn their backs on armed fascists, and at least one fascist and cop pair were seen shaking hands. 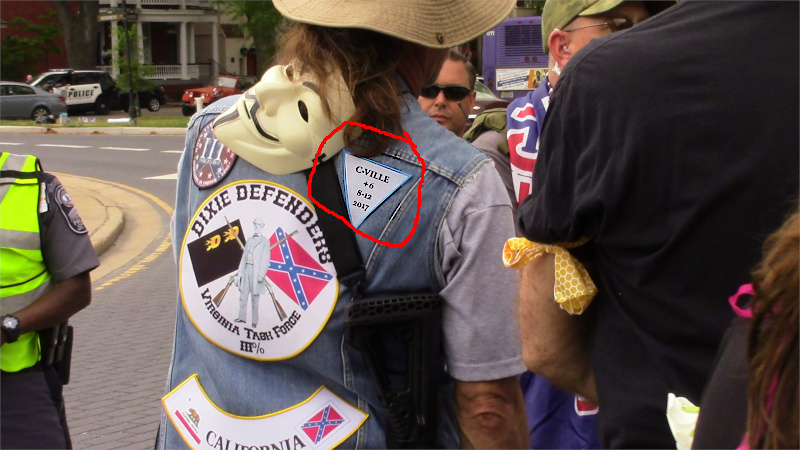 Many times it has been said "Cops and the Klan work hand in hand," here we see it in Richmond. One of the speakers asking the fascists to "let the Civil War rest" was no less than a woman who herself bears the name Lee and is a relative or descendent of General Lee himself. Perhaps the wannabe Confederates will listen to a descendent of the very man whose monument they were posing in front of? 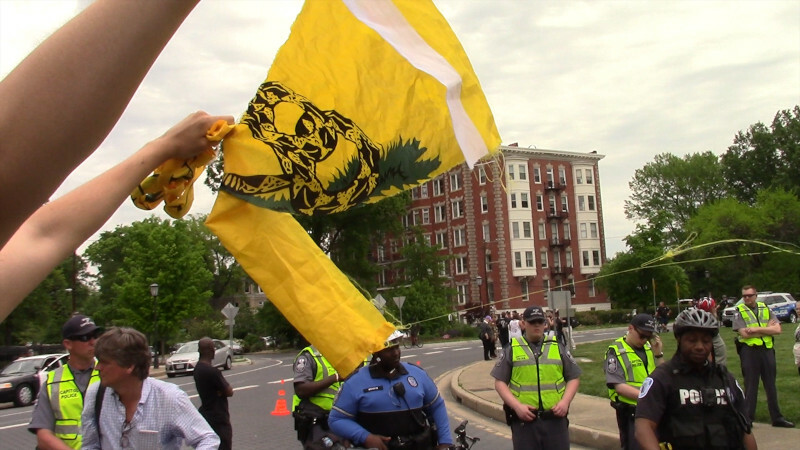 There were no arrests seen between about 10:45AM and the departure of the neo-Confederates shortly after 1PM, at which point the anti-racist and anti-fascist protesters also dispersed. Shortly therafter it begin to rain, raising questions about whether a little rain on the way was the real reason the neo-Confederates were so interested in a negotiated early departure. Maybe they didn't want their fancy rifles to get rusty? 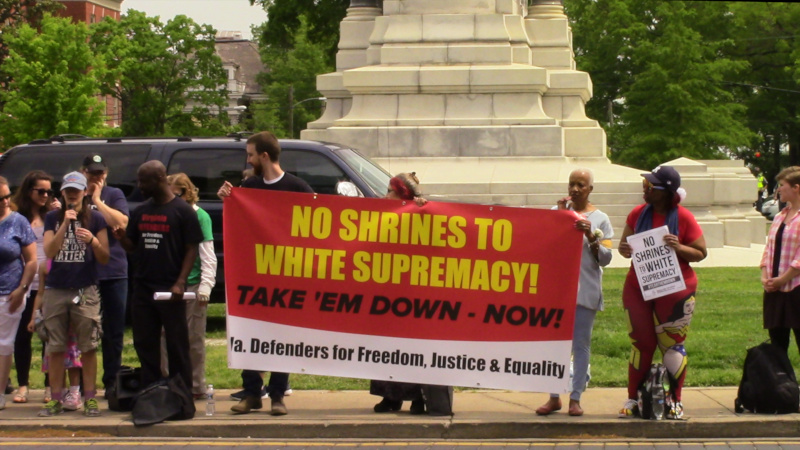 No Shrines to White Supremacy! Shredding the Serpent. 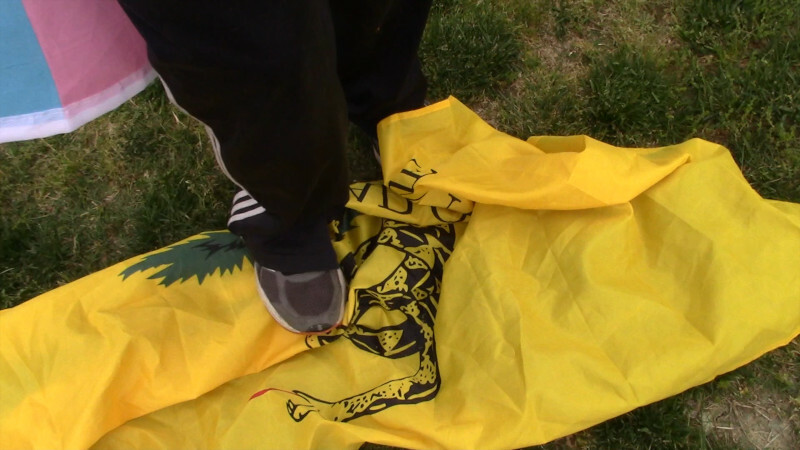 A "thin Blue Line" flag was also stomped and shredded: cops and Klan work hand in hand.